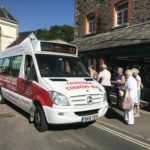 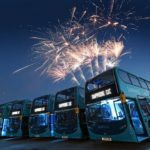 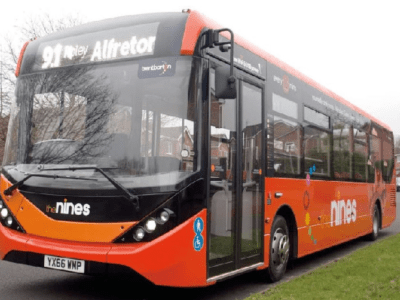 For day 38 on #AYearOfBuses, we’re heading to the Midlands! 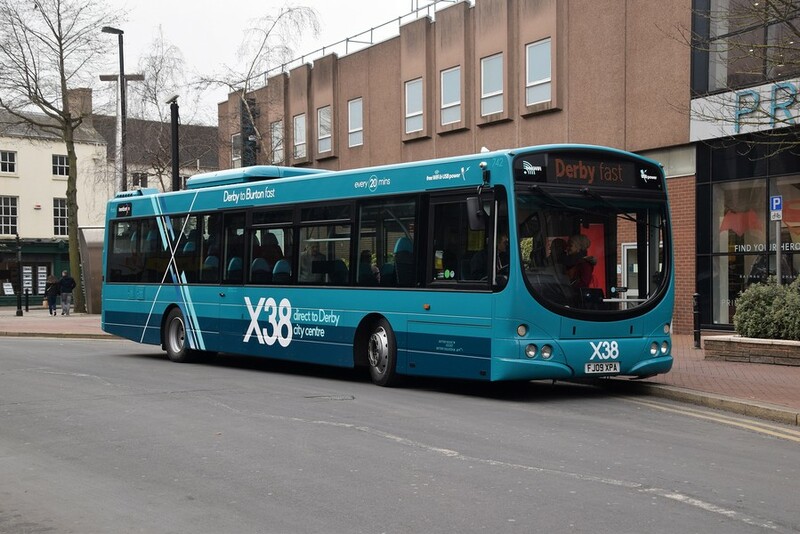 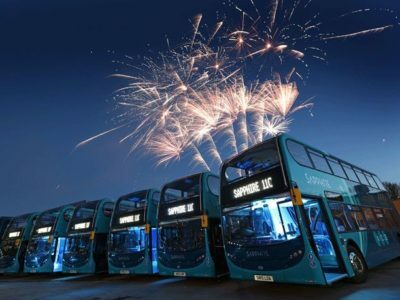 Trent Barton and Arriva jointly run the X38, connecting the city of Derby with nearby Burton-upon-Trent. 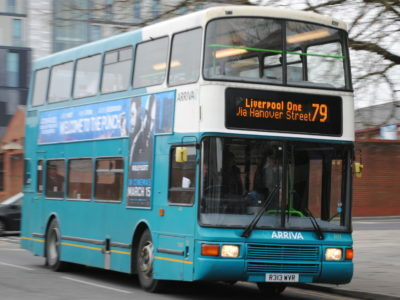 Both operators run similarly-liveried buses – Trent Barton’s refreshed Volvo B7RLEs wearing a two-tone turquoise livery with a large stylised ‘X’, with Arriva’s carrying some slightly more subtle branding. 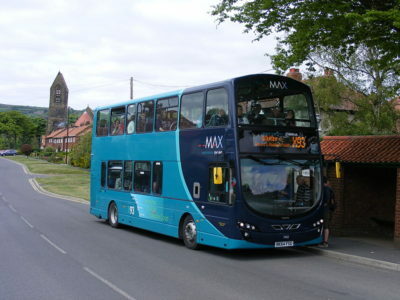 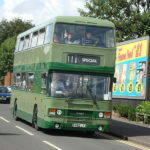 From Derby, buses run west out of the city, fast along the A38 into Burton, roughly alternating every two departures between the two operators.